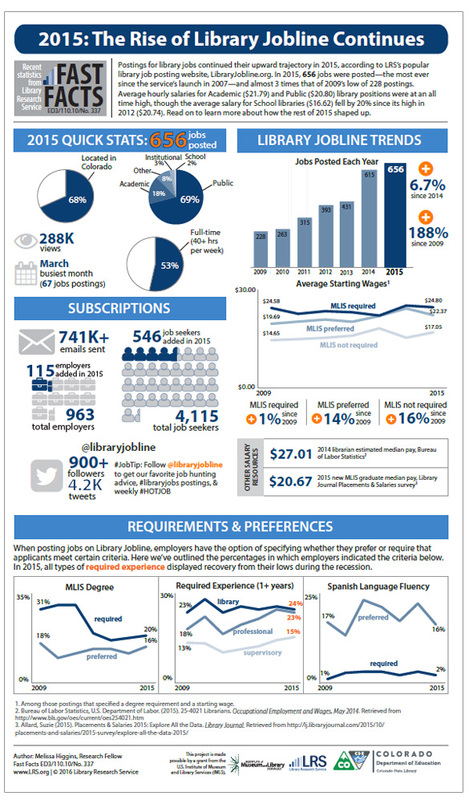 LibraryJobline.org, an online resource maintained by the Library Research Service (LRS) at the Colorado State Library, lists job postings from employers in Colorado and beyond.4 Library Jobline dates back to 2007, offering 5 years’ worth of statistics about Colorado’s library job climate. 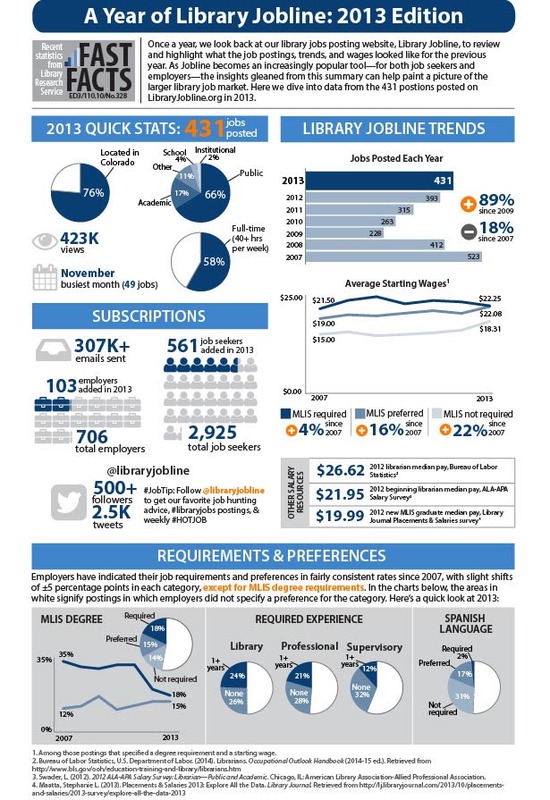 In 2010, the median annual wage for a librarian, according to BLS,5was $54,500 annually, or an hourly rate of $26.50. 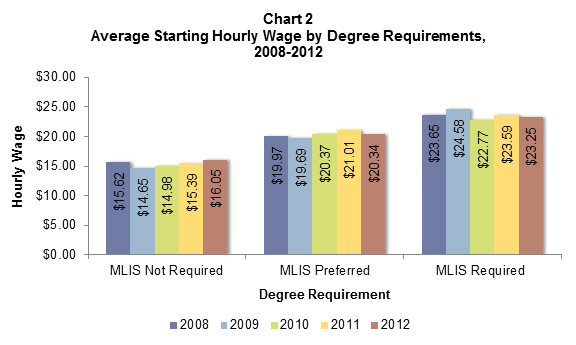 Whereas data from the 2010 ALA-APA Salary Survey6 (the most recent year available) shows an average starting salary of $48,317 annually, or $23.23 per hour. 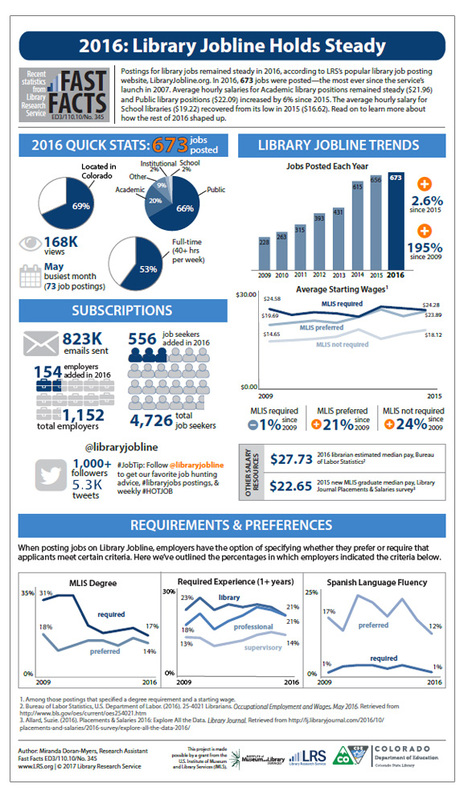 For recent LIS graduates—notably not all librarians—Library Journal’s “Placements & Salaries Survey 2011”7 reports an average starting salary of $42,566, or $20.46 per hour. 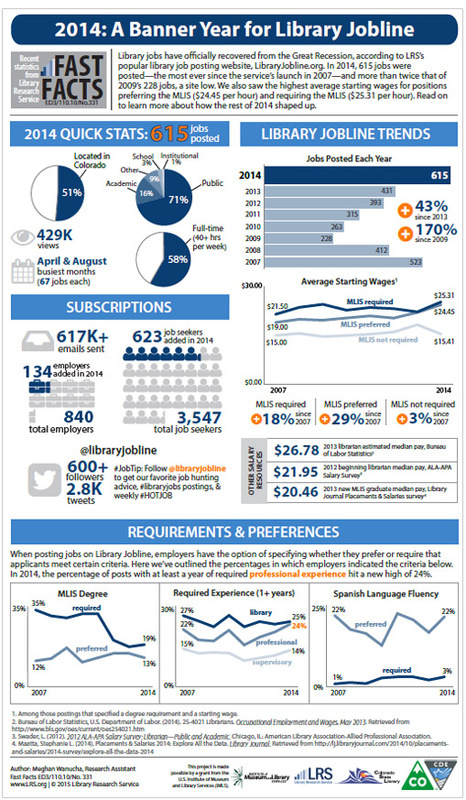 Although these data points are valuable in evaluating current and potential salaries for librarian positions, caution should be exercised in comparing them to each other or to Library Jobline data, as they represent different data sets and geographic areas. 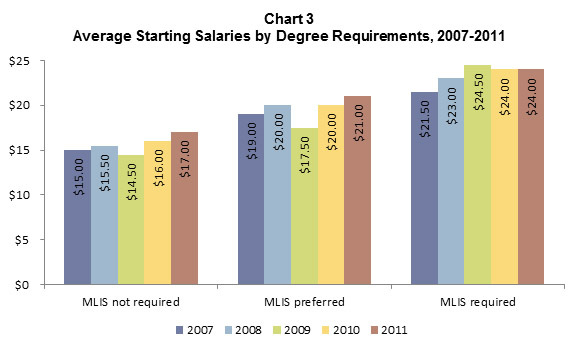 On June 19, 2012 / Academic, Public, School, Workforce / Comments Off on What is the Value of an MLIS to You? 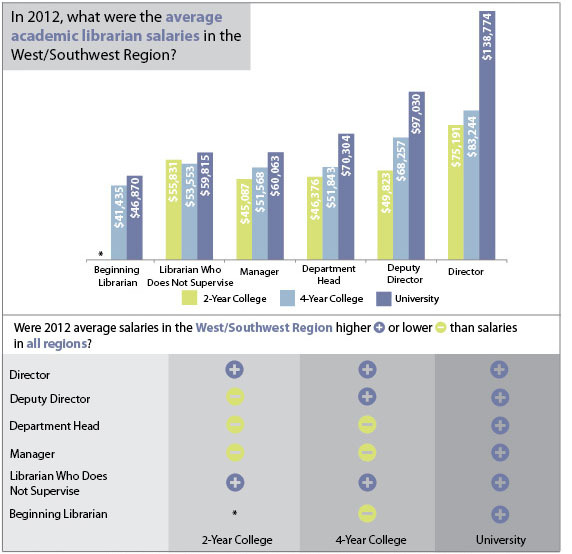 The 2010 Public Library Annual Report (PLAR) produced by the Library Research Service and the 2010 ALA-APA Salary Survey published by the American Library Association-Allied Professional Association both provide windows into the compensation earned by library professionals. 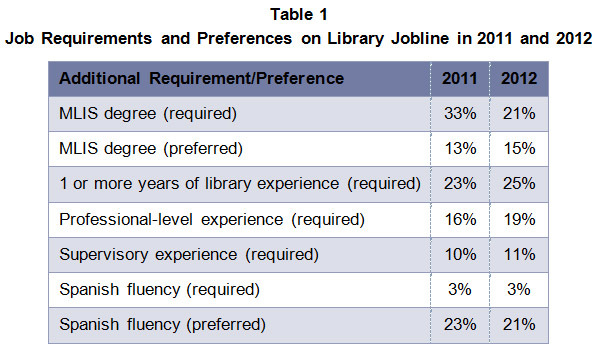 Both the PLAR and the ALA-APA Salary Survey collect and publish salary data about similar library positions (see below), and classify libraries by size according to the same guidelines.8 Yet, the 2 reports vary significantly in other respects. 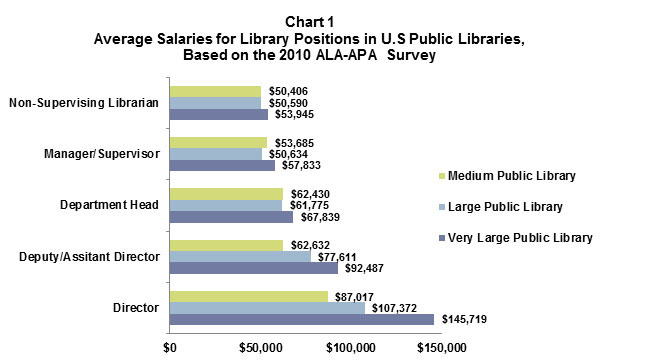 The ALA-APA Salary Survey draws data from a sample of libraries nationally, and reports this information at the national, regional, and state levels, whereas the PLAR takes its data from a census of Colorado public libraries. 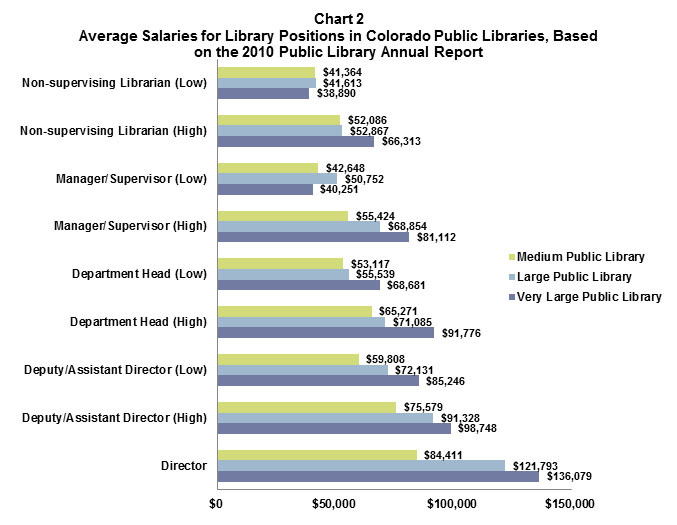 Despite these differences, looking at the 2 reports side-by-side yields insights about the spectrum of salaries for public library professionals in Colorado and nationally. In September 2010, the New York Times published an article about the privatization of public libraries.9 This article described the trend in some communities to turn over the management of public libraries to a private organization. In response to this article, library staff around the United States engaged in spirited online discussions about whether libraries should be privatized. Taking notice of these discussions, the Library Research Service (LRS), a unit of the Colorado State Library, launched a 60-Second Survey in November 2010 to get the library community’s opinions about privatization. A total of 2,509 people from every state and 15 countries responded, making this the most popular 60-Second Survey yet. 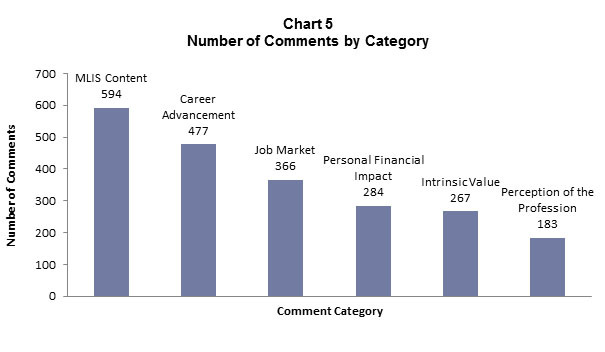 In addition, 59 percent of respondents (1,485) left additional comments, making it even more clear that this is a topic of great interest to library professionals and other stakeholders. Given an either/or choice, survey respondents overwhelmingly sided with public sector management, with 86 percent agreeing with a statement that management should remain in the public sector so that profit does not become libraries’ primary objective. The other 14 percent agreed that management should be privatized if it means that libraries can do a better job of providing services and materials to patrons at lower costs. 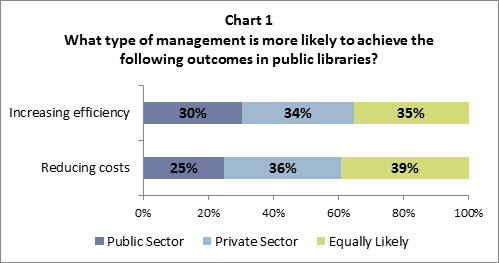 Survey respondents also identified whether they thought public or private sector management was more likely, or equally likely, to achieve a list of outcomes for public libraries. Public sector management scored the highest, by far, on all outcomes but two: reducing operating costs and making library operations more efficient. In these areas, respondents were closely split among the three answer choices, with around 1 in 3 voting for each (the public sector, the private sector, or both as equally likely to achieve these outcomes) (see Chart 1). 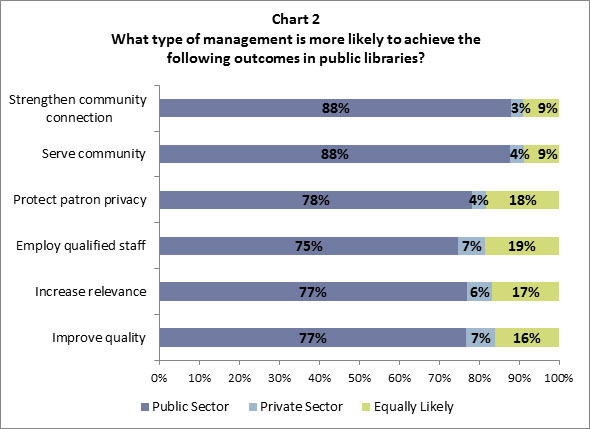 At least 3 in 4 respondents identified public sector management as the best way to improve the quality of library services, increase the relevance of libraries’ collections, employ qualified staff to meet community needs, and protect patron privacy (see Chart 2). 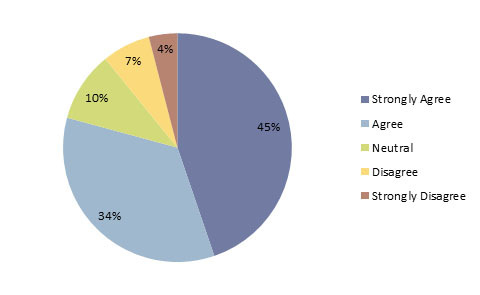 Public sector management drew even more support—from nearly 9 out of 10 respondents (88%)—when they considered the library’s ability to serve all the members of its community and the strength of the library’s connection to the community it serves. 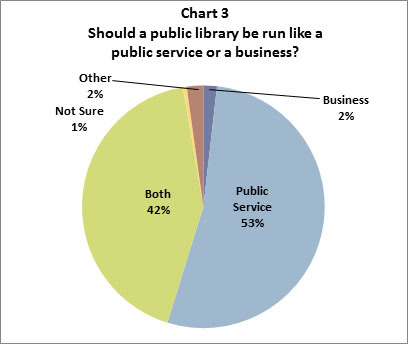 More than half (53%) the respondents indicated that a public library should be run like a public service rather than a business, but a sizeable percentage (42%) said it should be run like both (see Chart 3). Just 2 percent thought that a public library should be run like a business. 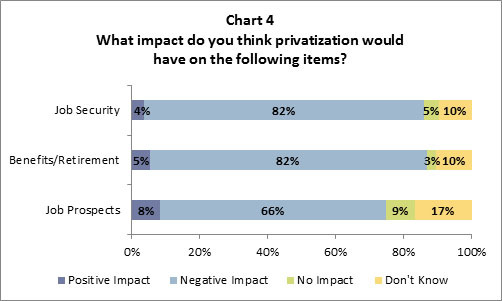 Eight in 10 (82%) respondents thought that privatization would have a negative impact on library staff’s job security and benefits or retirement plans (see Chart 4). 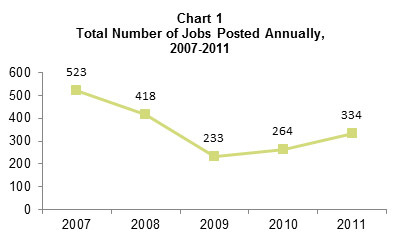 While the majority (66%) thought the negative impact would also extend to job prospects for degreed librarians, a higher percentage were unsure of the potential impact (17%) or thought privatization would have no impact on job prospects (9%). An analysis of the survey comments showed that nearly three-fourths (73%) contained pro-public management sentiments, while close to one-fourth (23%) were either pro-private or discussed alternatives to the black-and-white, public-versus-private debate. For example, several respondents suggested incorporation as a private, nonprofit entity (such as the New York Public Library) or implementation of business practices into libraries’ current management structures. Results from this study indicate that the library community, as represented by the survey respondents, has serious concerns about the impact of privatization on public libraries. 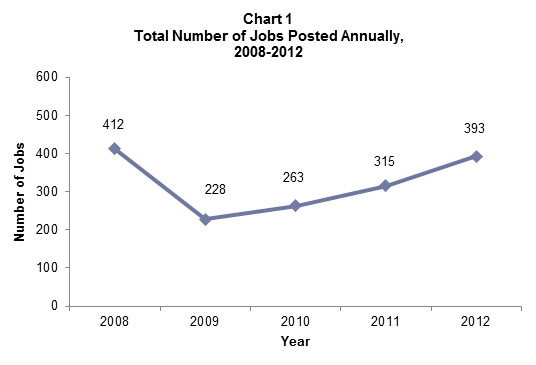 For further discussion of these results, see the article “Who’s the boss? 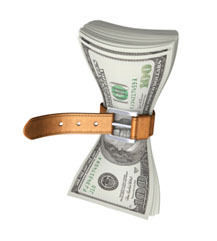 Does privatization have a place in public libraries?”10 in American Libraries.